Here’s how I came up with my Headless costume for Halloween. 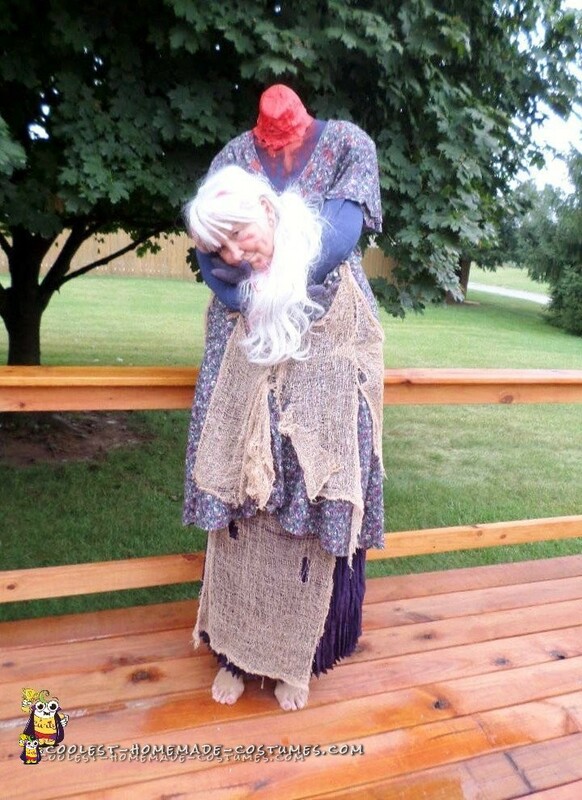 In our area we have a Halloween costume contest at our local firehall bingo. After I left the hall last year I have been searching for ideas to try and win the contest this year. They give out good prizes for the winner. I searched online to find the idea I came up with. I started putting it together in September of this year (2015) as I was going away in October and wouldn’t have time if I waited too long to do it. My first trip was to Goodwill to find the dress I needed to work with. I spent an hour or more just looking and thinking. I finally bought two pieces of clothing which was under $10. I used a small backpack I had at home and put a small pillow inside of it to fill it out. I ordered a torso dress online which was $6.00. I duct taped this to the back pack, first trying the back pack on to see how far above my head it would have to be in order to get the right placement of my head later. You will be wearing the backpack for the Headless costume. I then took a long sleeved turtleneck shirt and put it over the torso. I stuffed the arms with plastic Walmart bags and sewed old gloves onto the sleeves which I had stuffed the fingers and hand with polyfil. My dress wasn’t large (should use X large or larger) enough to fit around me in the front so I found another dress to use under this one which is the long blue one I have on. It tied around the neck so it was perfect. You need to make sure the backpack straps are covered. I then bought some creepy cloth which I tea dyed to look old and sewed it on in various places. I also used paint in spots to resemble blood on the dress. I had help putting the backpack on so I could see where to place the arms under my face. After this I sewed velcro onto the hands and dress to hold in place while my head is sticking out from the dress. I buttoned the dress up under my chin and used velcro to hold the bottom of the dress closed (hiding my arms and hands). I bought some face paint at Walmart and used on my face. I ordered the wig from ebay which was less than $10. The wig was long and the same color as my hair. I pulled it into a ponytail so it would be at the side of my face. I love how my Headless costume turned out.